Fast moving vegetation fire burning in Livermore hills east of Livermore Laboratory and Carnegie State Off-road Vehicle Park burning on both sides of Tesla Rd. Carnegie Park has been evacuated. 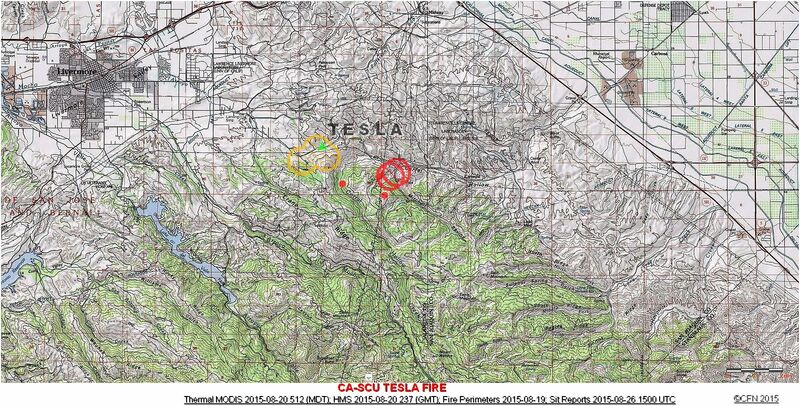 08/20/2015 1100: Mapped 2500 acres, AA return at 1600hrs during heat of the day, Dozer or handline all the way around fire. 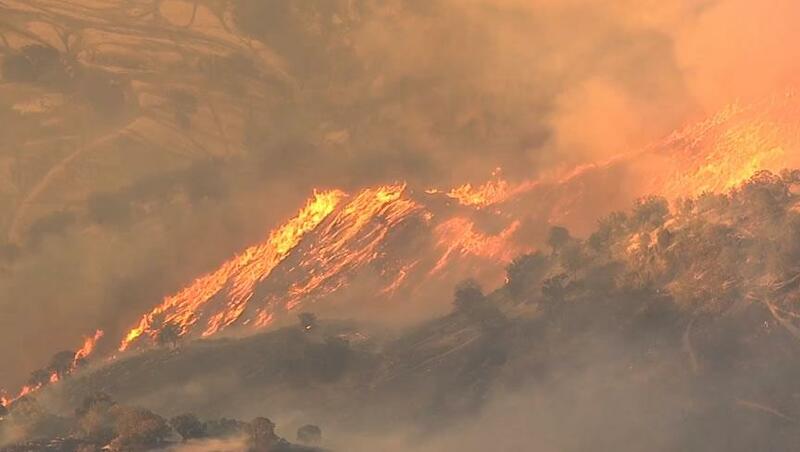 08/19/2015 2025: per AA 2500 acres, 5% contained. 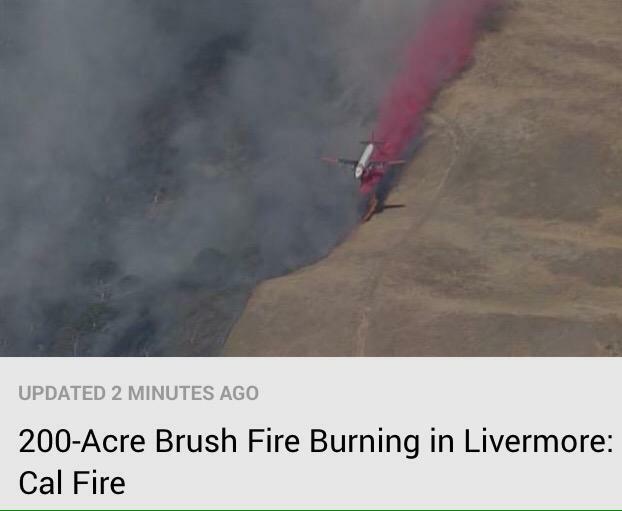 Copter 106 to Livermore, 912 to Castle, Bravo 58 to McClellan AA230 released all aircraft off the fire and accounted for. 08/19/2015 1915: 1500+ acres, Pulling Resources from the north end of the Sac Valley to fill and backfill incident resource orders. Onshore winds are a factor in the spread of this incident. 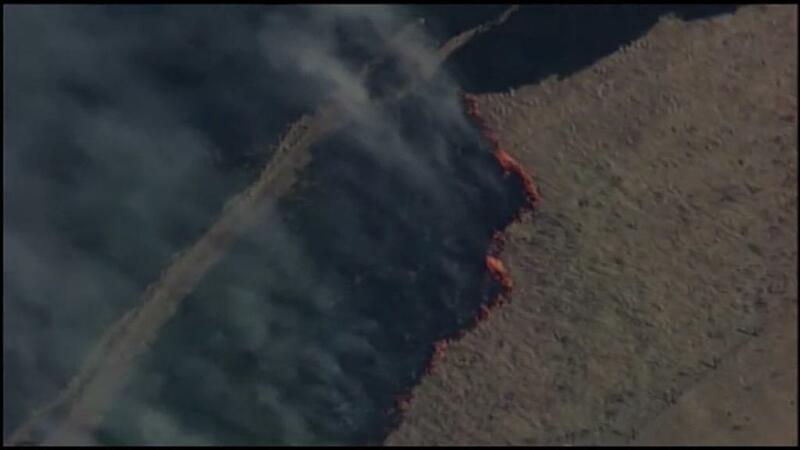 Grass fire is burning east of Livermore off Tesla Rd, photos via @nbcbayarea Chopper 11. 08/19/2015 1730: LG ST 2310 c assigned, Powerlines are a problem for aircraft, 1 copter working head of fire ahead of structures, 1 copter inbound. AA440 Tanker 912 inbound eta 1743, AA230 now lead... restricted airspace area over lab.... AA reports fire at 200 acres, likely to go to 400. 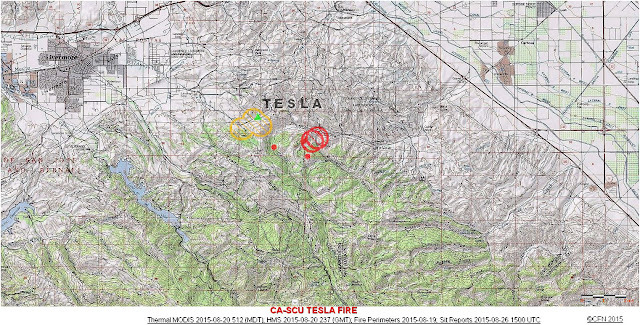 08/19/2015 1700: 200+ acres. 0% contained. Fire is burning toward Site 300, a no-fly zone for aircraft. 08/19/2015 1615: 200 acres. 0% contained. Burning in grass at a dangerous spread rate. 500kv power lines threatened. 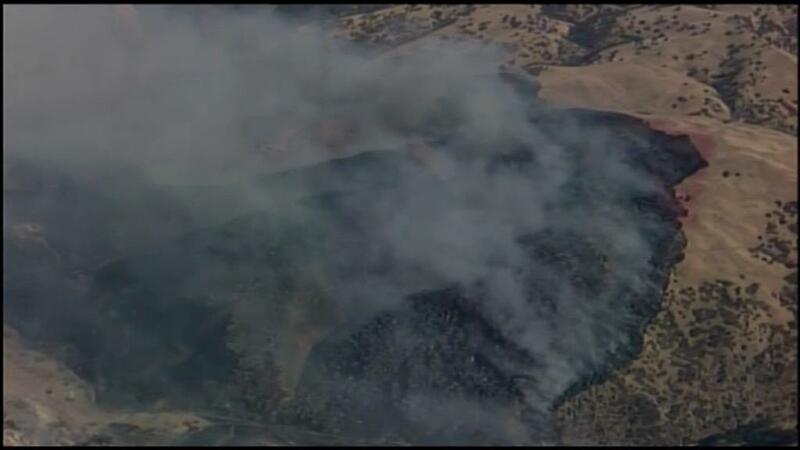 Fire is located 11 miles east of Livermore in Alameda county. VLAT 912 en route to the fire now. 4 S2's currently working the fire. LNU 9144C en route to the fire immediate need- to form up at the scene. 08/19/2015 1600: Requesting VLAT or a large airtanker that does not need a lead plane. Lead for VLAT will be out of Redding which will delay use of VLAT.